This gift tin has a diameter of about 10 in, a height of about 2 in and a Net WT of 32oz. Perfect for any occasion! 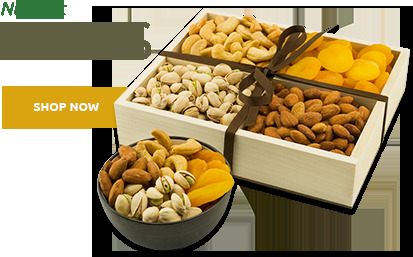 Our Executive Assortment tin is packed with two pounds of the very finest Nuts and Chocolates: Giant Whole Cashews, Whole Macadamias, Colossal California Pistachios, California Almonds, Chocolate Covered Pecans, Chocolate Covered Cashews, Chocolate Covered Almonds. 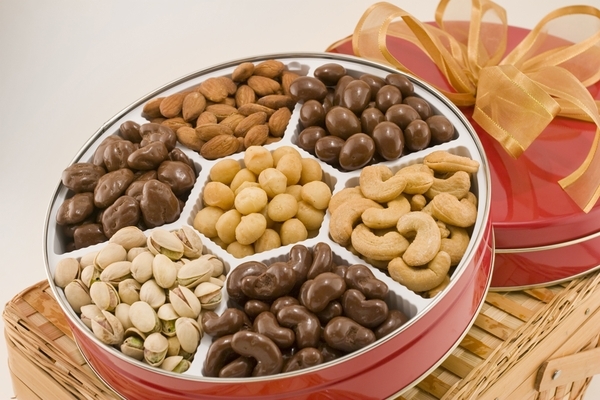 Superior Nut Company - Executive Assortment of Nuts (Gift Tin) - Net WT 2 Pounds. 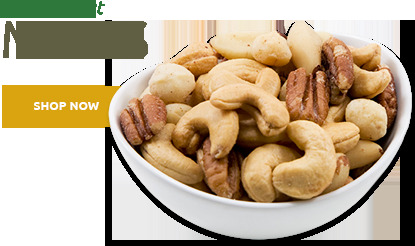 Giant Cashews: Cashews, Peanut Oil and Salt. Whole Macadamias: Macadamias, Peanut Oil and Salt. Jumbo Almonds: Almonds, Peanut Oil and Salt. Colossal Pistachios: Pistachios and Salt. Chocolate Covered Cashews: Milk Chocolate (Sugar, Chocolate Liquor, Cocoa Butter, Milk, Anhydrous Butter, Soya Lecithin, Salt, Vanillin, Cashews, Gum Arabic, Corn Syrup and Confectioner's Glaze. Chocolate Covered Almonds: Milk Chocolate (Sugar, Chocolate Liquor, Cocoa Butter, Milk, Anhydrous Butter, Soya Lecithin, Salt, Vanillin, Almonds, Gum Arabic, Corn Syrup and Confectioner's Glaze. Chocolate Covered Pecans: Milk Chocolate (Sugar, Chocolate Liquor, Cocoa Butter, Milk, Anhydrous Butter, Soya Lecithin, Salt, Vanillin, Pecans, Gum Arabic, Corn Syrup and Confectioner's Glaze. Persons that received it are very happy with gift. In fact they have finished it! The nuts are always separated. 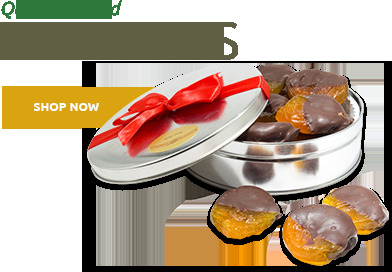 They all have a very fresh taste and would be a perfect gift for any occasion. I would highly recommend them to all my friends. This presentation would stand out in any display. I want "more". We have received your pistachios from our builder in Steamboat Springs, Colorado each year at Christmas and love them for their freshness & quality! This year despite my frustrations with online ordering I took a chance and ordered the executive nuts in a tin for my family in Georgia & WOW what a huge hit!! 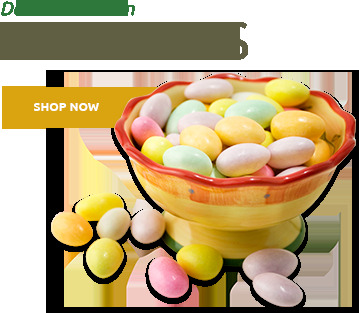 PS we had trouble getting our pistachio order this year due to an address that could not receive deliveries. Your customer service was extremely helpful in ensuring that our shipping address was entered correctly & they were able to re-route our nuts delivery BEFORE CHRISTMAS!! I was again supremely impressed!! Especially when they arrived as planned!! This company offers a variety of products for every member of your family that does not disappoint!! My in-laws enjoyed this assortment as our Christmas gift this year. We chose to send it based on the variety/quantity in this tin. This was a gift for my husbands birthday, and he liked it so much he hid it in his closet! Delicious, everything was fresh and tasty. My sister was thrilled when she received! To have a legend with this product so people know what is in each section is needed. 3 different color coated nuts, people want to know what they are eating. ConsNeed legend or ID for what is in each section. Friends and family really enjoyed getting this gift. Good combination of different types of nuts with a little chocolate for sweetness. Nuts are fresh a flavorful. I would recommend this to a friend. The quality of the nuts in this assortment exceeded our expectations. So delicious we are trying to measure them out so we can enjoy their yummy goodness for as many days as possible. Will definitely be placing another order for the holidays. ProsHigh quality nuts and chocolate reasonably priced. ConsSo delicious it is hard to stay out of them so they don't last long. I bought my husband this gift tin for Valentine's Day and he loves them! Overall, as fresh and tasty as it gets. Several nuts in the various trays spilled into other trays, probably from shipping. Holiday guests (family / friends) enjoyed it. Cons- chocolate covered nuts seem to be 85% chocolate + 15% nut; would like to possibly have less chocolate and more nut. - had to gracefully shift contents back into their respective trays before serving to guests as contents spilled into each others trays. Gave as a gift to couple who have everything! They loved it! ProsVery classic. Not a bad item in the entire tin. The tin was lovely. My favorite of all your assortments. Never had a bad word about their quality. This is not a negative, but I believe I had asked for a delivery on the 23. They arrived on the 18th. Not a problem, but they'll be gone before Christmas. Good stuff. ProsFlavor, crunch, variety, ease of ordering. I gave these to my aunt for her birthday and she RAVED about how wonderful they were. Thanks Superior Nut! I bought it for my parents and they loved it. A great gift for people who don't need more "stuff". This was a gift and the recipients could not say enough nice things about the great tasting assortment. Item was fresh and tasty and presentation was excellent. Fantastic and perfect every time. A real winner! Prosassortment, freshness, presentation, packaging, quality. I bought this as a thank you gift and the recipient raved! She said they were the best nuts she had ever eaten. I would absolutely use this company again and recommend it to anyone needing such items. I have given this gift tin to my father for father's day for the past three years. This is the only thing that I have given him that he has asked for year in and year out. They are delicious! The chocolate is fantastic! We had a friend send these nuts to my husband after his surgery, Low and behold my friend's husband had the same surgery (rotator cuff) six months later......we sent him the same get well gift because we knew how delicious those nuts were. We all commented how we wished we could go to BJ's or Sams's Club and buy in bulk. FRESH/DELICIOUS/WONDERFUL!!!! ProsNo peanuts. I like peanuts, but I was looking specifically for an assortment of the better, more expensive nuts. Gift was a home run!! The package of nuts was delivered on time and my parents loved the assortment of nuts in the tin. I will definitely order again from Superior Nut Company. I bought my husband this gift for Valentines Day. They were fresh and delicious. We could not stop eating them. There were plenty to eat and many different types to choose. I would definitely purchase from them again. Shipped on time; arrived at in-laws on time; was a gift so I did not taste myself but they loved it. This was sent as a Thank-You gift and the person that received it was thrilled! The presentation, freshness, and quality were all things that made us proud that we chose this product. First time I used this service. I am out of the country so wanted to surprise someone especial after a long trip. He loved it and told me the nuts were fresh and delicious! Purchased this as gift. the recipient loves nuts. the last to be eaten were the chocolate covered. Bought this as a gift for my Sister and Brother-in-Law as a thank you for hosting us over the holidays. They were very happy and enjoyed the variety. This feedback prompted my purchase of another similar assortment to send to my Mother for Valentine's Day. Waiting to hear how much she likes it once received. Great company to work with. They sent out over 10 tins during Christmas and were very promt in doing so. Every one enjoyed them. The Couple that received the gift said the Nuts were wonderful and the Gift Tin was just beautiful. They were thrilled with it. Also it was delivered right on time for the Special Occasion it was sent for. Thank You Very Much. They will be Christmas gifts. Loved the decorated boxes. The nuts came handsomely packaged in a tin, and were absolutely delicious! The nuts were excellent. I ordered the executive assortment for my husband. He isnâ€™t real big on chocolate covered nuts so my only suggestion would be to provide and assortment of just nuts with no chocolate covered ones. All in all, they were the best nuts we've every had! The best nuts I have ever tasted! 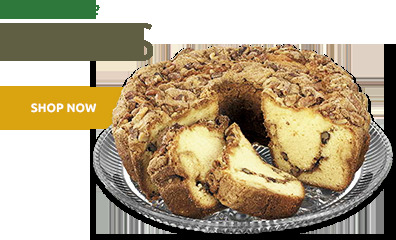 I ordered a box of these nuts for some of my family in Kentucky for Xmas and they said they were just delicious and fresh! I ordered online and they were shipped the very next day. Bravo, good job Superior Nut Co.
Iâ€™ve sent this as a gift twice and received fantastic feedback from the recipients. I gave this as a gift but the receiver gave me a call and said he just loved them. Plus they arrived right on his birthday which made it extra special. Thanks! My first order from Superior Nut company was a gift that was sent to a different state. It arrived right on time, and the recipient said that the quality of the gift was amazing. I would definitely order from this company again! 5 stars for excellent service, quality, and punctuality. Bookmark this company for great gifts. The best nuts I've ever had! It shipped fast and I received it shortly after I ordered it.